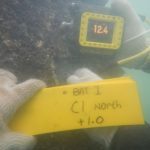 Green Island Cement – 水下建設香港有限公司 Works of Diving Hong Kong Co. LTD.
Works of Diving Hong Kong Co., Ltd was contracted by Green Island Cement Company Limited to carry out materials investigation at the Tap Shek Kok Jetty. 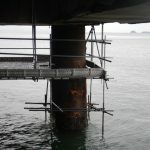 A working platform was installed beneath the jetty to allow access to the inspection areas. 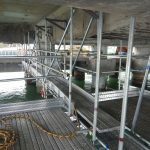 A Registered Structural Engineer was employed to provide structural design and check certificate of the calculations for the scaffold platform. 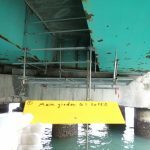 Installation of access platforms at the inspection areas. 45 Nos. 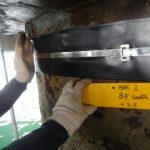 Piles for steel thickness measurements. 2 Nos. Concrete jacket removal. 4 Nos. 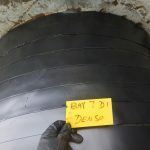 Protection wrapping removal. 15 Nos. 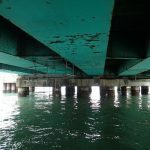 Bridge girder thickness measurements. 16 Nos. 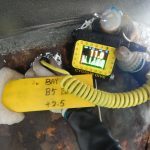 of Cover meter surveys (visual inspection carried out due to condition of concrete surface). 16 Nos. of Chloride penetration tests. 9 Nos. of Core compression tests.